‘Started from the bottom now we’re here.’ For the world’s rap megastars, origin stories are par for the course. But for one Afghan teenage girl, rapping isn’t merely a route out of her situation, but a powerful platform to spearhead social change. 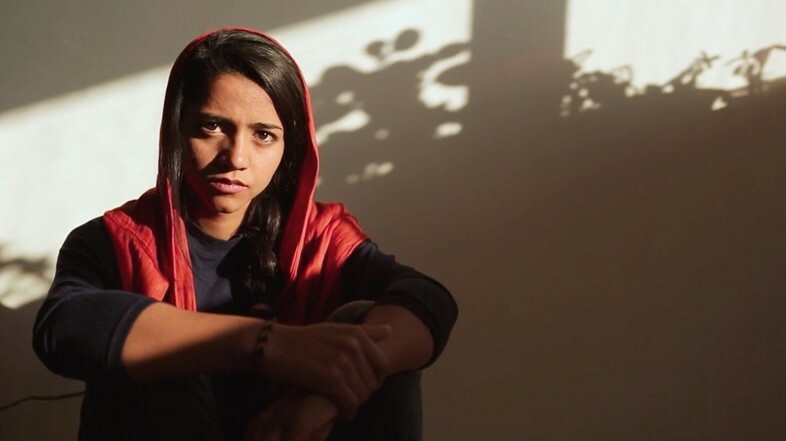 Sonita Alizadeh is the (now) 19-year-old girl who is at the centre of the year’s most powerful documentary, Sonita. The Sundance-award winning film by Roksareh Ghaemmaghami tells her story: an undocumented 14-year-old Afghan illegal immigrant living in the poor suburbs of Tehran, working tirelessly to record music of her own and achieve her dreams of becoming a musician, despite the obstacles of her conservative patriarchal family. When her mother arrives from Afghanistan, she tries to sell Sonita to a new family – for $9000, as a teen bride. From there, Sonita’s individual story becomes something much bigger, and her struggle to escape a forced marriage spotlights the dilemma for millions of young girls who are victims of child marriage every year. We see Sonita craft and release her first, incendiary protest song on YouTube: “Brides for Sale” (‘I wish you would review the Quran’, she spits, wearing a bridal gown, ‘I wish you knew it doesn’t say women are for sale’). 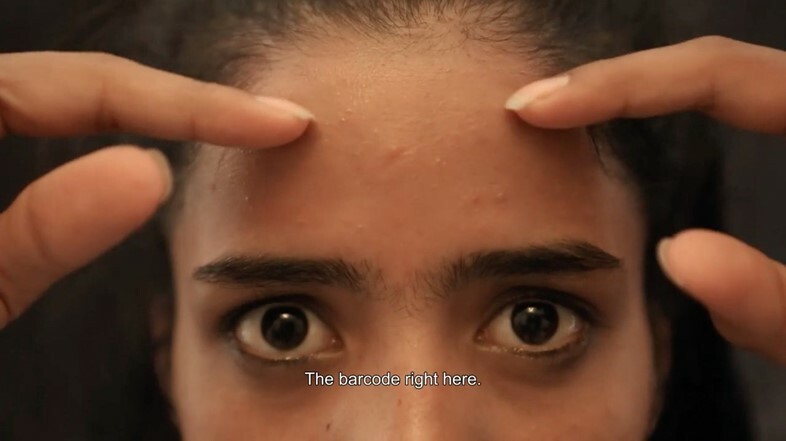 What’s more, the supposedly neutral role of the documentary filmmaker is called into question, as Ghaemmaghami becomes inescapably linked to Sonita’s future – crossing the line from observer to active participant, to help Sonita escape the destiny her family have allotted her. It’s perhaps the widespread acceptance of the powerlessness of young girls in society that the documentary captures – the casual way in which Sonita’s friends talk about being married off and beaten in the way one might talk about homework, for instance – that makes Sonita’s activist instincts all the more powerful: the fact she isn’t just taking charge of her own future, but wants to stop this being any other girl’s fate ever again. Now studying in Utah’s Wasatch Academy, where she has a scholarship, Sonita visited London for the Human Rights Watch Film Festival at the Barbican Centre. We caught up with her to find out more about her campaign to end child marriage for good. What was going on in your life when you first met Roksareh? Sonita: When I was around 14 I was working as a cleaner at the gym. Cleaning at that age was really hard for me. I was looking for a way to share my feelings with others. First I tried pop music, and I was always writing pop… but I couldn’t fit all my (feelings) in pop music. Then I tried rap – I realised it was the best way to share important messages and that I could say more through it. I wrote my first song called “Child Labour”, and through that song I met Rosa’s (Roksareh's) friend, and Rosa told me she can pay for my music because I didn't have money to work with professional musicians. After a while, she became interested in my life and started following me with her camera. At the beginning, it wasn’t the best relationship. It took a long time to trust her and be comfortable with her. Do you think it is important that music is political? Should music always send a powerful message? Sonita: Because music comes from inside of somebody, people can feel it very well and people can (feel a sense of) contact with it. It’s a powerful tool for social change because you can reach many people and you can share your feelings through words, and through your music videos. Because most people listen to music, I think it's the best way to assert social change. Did you have much opportunity to listen to music when you were a child? Sonita: No… I wasn’t even interested in listening to music! I don’t know what happened for me to become a rapper! I just wanted to say what is inside me. And now I have more favourite rappers, singers than when I was in Iran. Back then, I was working and I didn’t have time to listen to music, or I didn’t have internet to find new singers. Who are the musicians and artists that you really find inspiring? Sonita: I like Eminem’s style, and Missy Elliott. I really like M.I.A. Yes! You seem quite similar in the ways you send powerful messages through music. What do you love about performing rap music on the stage, how do you feel during a performance? Sonita: When I’m rapping I become very emotional and people can feel it through my face. I like it because I’m rapping about something that I saw happening to girls or women. Because I rap, music changed my life, so I think I have to use it to help other girls. What’s your creative process when it comes to writing lyrics? Sonita: Every song is a long process. First I have to write a story for it, and then to make it into a song, I have to make it short and then shorter – so it’s not easy! At the beginning the lyrics (run to) like five or six pages, and then I have to choose which words are the most powerful. The “Brides For Sale” video is very powerful. Do you feel that when you’re performing like that and you’re expressing these angry emotions, that you become someone else? That you’re looking down on yourself doing that? Sonita: When I’m rapping about something like child brides, because it almost happened to me, I will become another person who is really angry and who wants to scream. And when I’m rapping about war or about women who can’t share their stories, again I’m another person, so it has different angles. It’s a great scene in the documentary when you’re looking at your video blow up on YouTube, and reading all the supportive comments. Do you feel like social media and the internet has a big part to play in how young people express themselves? Sonita: The biggest impact. Because of social media now so many people know my story, which is the story of many, many girls in the world. Every year, 50 million girls are forced into marriage, and my story is the same as them – but I was lucky and I could escape it. So social media helps me to change my life and the director helped me to prove myself to my family and to the world. I think we can do anything with our social media, without social media the world would be very, very small. What is your hope for the future? Do you think it’s possible to incite a big change in society, or is more about individual girls finding power for themselves? Sonita: What I’m working towards is to end child marriage, because I was one of them. I want to end child marriage because I lost some of my friends, and my niece maybe would be next. So I’m trying to help people to know that child marriage exists so they can help my vision and help other organisations who are already working to end child marriage. And I really want to help families, because families love their daughters… and if they are doing this to their own daughters it’s because they don’t know another way. They need to know there are new ways and new possibilities for their daughters. I want to work in communities, even with religious leaders, to help change these traditions. Right now, I’m on spring break and I don’t do any fun things... But I’m happy because if I want to stop child marriage I have to accept this hard moment. It’s not always easy. (But) because I said I want to change the world I should work for it, not just talk about it. I don’t want to be a musician forever, I want to keep going to school and become a lawyer for women’s rights and also use the law to help women.